When I was 15, I began to suffer headaches, tiredness and lack of energy. I was diagnosed with ME, a condition which is often known as chronic fatigue syndrome, and it’s changed my life. My passions have always been music and sport, but my illness now makes these things more difficult for me. People didn’t believe I was unwell at first, as there is no physical sign of ME. Instead, I was called ‘spoilt’ and ‘lazy'. The fatigue you feel as a ME sufferer is one of its main symptoms. It can leave you bed-bound, or with heavy limbs and painful legs. The aim of my Fixers project is to help other people gain a better understanding of how it feels to have ME. 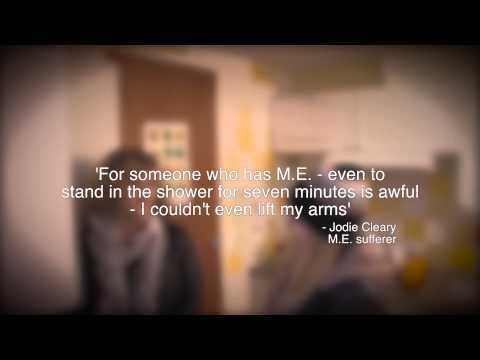 By raising awareness, I hope to prevent other ME sufferers feeling as isolated as I did. Jane Colby, Executive Director at Tymes Trust, a charity for children and young people with ME and their families, supports my Fix. She was interviewed to appear in my broadcast piece. My story was featured on the ME Association website and in the Harwich and Manningtree Standard, and Newmarket Journal. I want to inspire young people to speak out about issues that matter to them. We want to show how performing arts can help stop anti-social behaviour. I want people with learning disabilities to discover the benefits of being creative. After losing my brother I want to help others cope with bereavement. I want to help others speak about mental illness. I want young people to become more engaged in politics and use their vote. We want to educate people about mental health so they can support others. I've been lucky and had good foster care, but others have not. I want to change this. My team and I want to help make Cardiff more accessible for people with disabilities. I want to challenge prejudice against young parents. I thought that drugs had changed my life for the better...but I was wrong. We want to highlight the impact of sectarianism on young people. I want to raise awareness of stimming within autism. I'm calling for a more unified country in the wake of Brexit. I'm showing women in my area where they can turn for help with domestic violence. We want young people with mental health issues to find support. I’m bridging the generation gap in families through a film and workshops. I want people to celebrate their differences and treat others with respect. I restored my local community park. I'm tackling the misconception that being gay is somehow a choice. My team and I want women and girls who experience abuse to feel able to speak out. I want to encourage children to eat healthy foods. I want to help victims of crime find comfort through conversation. I want children to appreciate other cultures and not discriminate against them. I want to show the effect long-term unemployment can have on mental health. I want people to be aware of the devastating impact bullying can have. I'm making people aware of the processes involved in fast fashion. Joe and his friends are encouraging others to stand up to suicide. I'm encouraging young people to make the most of their education. We want people to tackle the stigma surrounding foodbanks. I want teachers and parents to talk to kids about what to do when they feel low. We want to stop human trafficking from happening in Northern Ireland.